Who is Chelsea Handler, Her Net Worth, Husband or Boyfriend, Is She Dating Mel Gibson? Chelsea Handler is one of America’s top female comedians. She is also an actress, writer, television host, producer, and activist. She is known to be very outspoken even with things that are very personal. In separate interviews with The New York Times, Handler revealed that she had an abortion twice when she was 16. She has authored five books that made it to the New York Times Best Seller List, with four of them reaching number one. In 2010, the entertainer took the 98th spot on Forbes Celebrity 100 and in 2012, she was named among Times 100 most influential people in the world. Keep reading to discover more about this beautiful lady. Born on 25 February 1975, in Livingston, New Jersey, as Chelsea Joy Handler, the multi-talented woman is the last of six children (three girls and three boys) born to Rita and Seymour Handler. Her mother, a homemaker, was born in Germany but later moved to the US in 1958. She was a Mormon while her husband, a used car dealer, is Ashkenazi Jewish. At the age of 9, Chelsea lost her eldest brother who was 21 in a hiking accident and in 2006, her mother also died after many years of battling with cancer. She moved from New Jersey to Los Angeles, California when she was 19, living with her aunt in Bel Air. There, she worked as a waitress to take care of herself while pursuing a career in acting. Her decision to become a stand-up comedian was birthed after she told her story about driving under the influence to a class of other offenders who found it funny. Chelsea was part of the cast of the TV series, Girls Behaving Badly which aired from 2002 to 2005. She also appeared on some other TV shows including Weekends at the D.L., The Bernie Mac Show, My Wife and Kids, and The Practice. She was a correspondent on NBC’s The Tonight Show and also a regular commentator on MSNBC’s Scarborough Country and on E!. Also, she was the host for the first episode of the reality TV show, On the Lot. In April 2006, Chelsea Handler started hosting The Chelsea Handler Show which aired for two seasons on E!. The following year, she moved across the US performing with Comedy Central’s Hour Stand-Up Comedy Tour. Meanwhile, her comedy has been shown on different platforms, including VH1’s Love Lounge, Comedy Central’s Premium Blend, and HBO’s broadcast of the Aspen Comedy Festival. In July 2007, the entertainer became the host of the half-hour late-night comedy talk show, Chelsea Lately on the E! network. This ran from 2007 to August 26, 2014. The show later had a spinoff titled After Lately. On September 12, 2010, she became the second woman in the history of MTV Video Music Awards (VMAs) to host the ceremony alone. 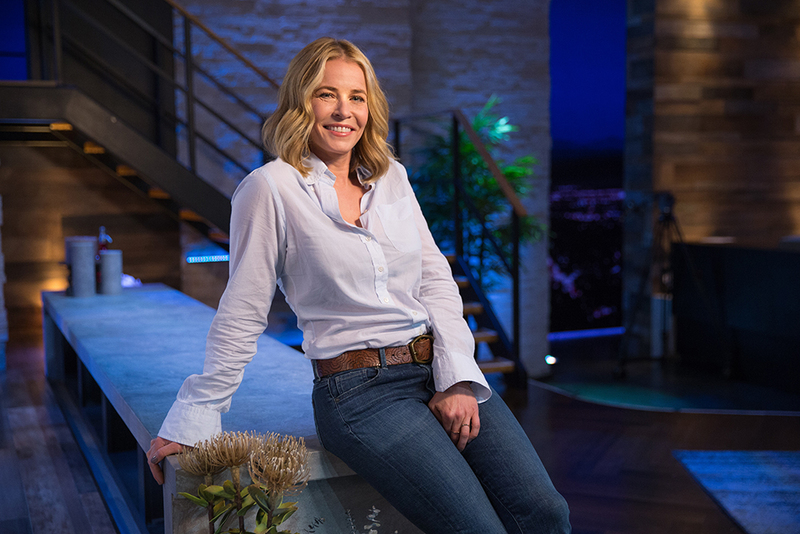 As a result of her contributions to different areas of entertainment, Times named Chelsea Handler among the 100 most influential people in the world on its 2012 edition of Time 100 list. In January 2016, she released a documentary series, Chelsea Does, on Netflix and in May of the same year, she started hosting the comedy talk show, Chelsea, on Netflix. As an author, Handler has written five books, including My Horizontal Life: A Collection of One-Night Stands (2005), Are You There, Vodka? It’s Me, Chelsea (2008), Chelsea Chelsea Bang Bang (2010), Lies That Chelsea Handler Told Me (2011) and Uganda Be Kidding Me (2014). Handler has done a very good job putting her multiple talents to good use. She has made a lot of money from her comedy shows, her book sales, acting, and also from her television shows. According to reports, she earned a whopping $10 million from her late-night comedy show and her deal with Netflix probably runs into millions of dollars too. Back in 2012, her net worth was said to be $12.5 million but that figure has since grown. Now, she is said to have a net worth of $40 million. Husband or Boyfriend, Is She Dating Mel Gibson? Chelsea Handler has never been married and even though she has an ‘impressive’ list of unsuccessful relationships over the years, there is no proof that Mel Gibson is on that list. This is quite a common knowledge because she is often very vocal about her relationships. She dated Dave Salmoni, an animal trainer, entertainer, and TV producer from Canada. Their relationship lasted for a few months before Salmoni broke the news of their break up on The Tonight Show With Jay Leno. 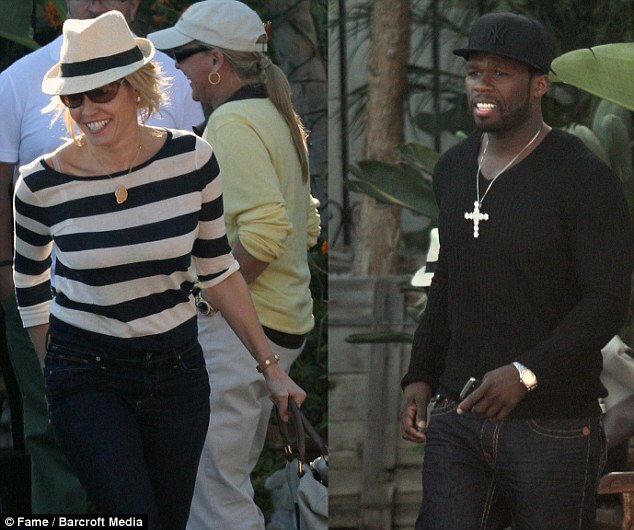 Afterward, she met 50 Cent on her show in 2010 and after a while, they started dating. Just a couple of months later, things fell apart when 50 Cent called Chelsea to inform her that his ex, Ciara, who was coming on her show the next day, wanted him back and wasn’t happy that they were dating. Chelsea got angry, said a whole lot of unpleasant things to 50 Cent and that was the end of the relationship. In 2006, she started dating Ted Harbert while he was serving as CEO of Comcast Entertainment Group, overseeing E! and other cable channels. Some months later, they moved in together but probably because they found it difficult to separate business from pleasure, the relationship went down the drain. On January 25, 2010, Chelsea Handler confirmed their split on her late-night talk show. Moving forward, Chelsea struck off a relationship with a hotelier named André Balazs in 2011 but they broke up after two years. It was a bicoastal relationship that left the duo struggling with trying to figure out how to live life together. Speaking to Oprah, Chelsea said she was never in doubt about Andre’s love for her. According to her, he was her match.